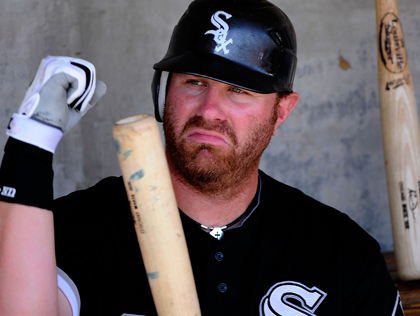 Adam Dunn has long been one of our favorite athletes of all-time. Nothing can ever change that, not time nor space or argument from opposing fan about him being wortless defensively or a beer league softball player. He is spoken of as icon status on this blog, do you understand? We always knew Dunner was capable of big things, and now he’s about to delve into a new realm and unleash his talents on the silver screen. Adam Dunn is going to be in a movie directed by Matthew McConaughey this summer. Dallas Buyer’s Club sounds like an unbelievable movie in the mold of Boogie Nights or something close. I would want to see it even if Dunn’s part was played by Casey Affleck or someone else who can’t act. To get Dunn is just a bonus. Hopefully he’s one of Ron Woodroof’s skirt-chasing, hard drinking sidekicks. This would be a natural role for Dunn that he played well in his years in Cincinnati before he settled down (it happens to us all around age 30). This is the highlight of my very sad, boring day. UPDATE: Dunn is cast as a bartender in the movie. This is perfect. ← Previous Story Frank Thomas: First Ballot Hall of Famer?